Documentation is a topic that always bugs me. Working on poorly documented codebase is a ticking bomb. It makes the onboarding process a tedious experience. Another way to think of bad documentation is that it helps foster a low truck factor (that is, "the number of people on your team who have to be hit by a truck before the project is in serious trouble"). Recently I was on-boarded into a project with more than 1,500 pages of documentation written in… Microsoft Word. It was outdated and unorganized. A real disaster. There must be a better way! I've talked about this documentation issue before. I scratched the surface not long ago here on CSS-Tricks in my article What Does a Well-Documented CSS Codebase Look Like? Now, let's drill down into the options for programmatically documenting code. Specifically CSS. The team starts using a common vocabulary, reducing communication issues and misunderstandings significantly. The current state of your components visual UI is always present. Helps transform front-end codebases into well-described pattern libraries with minimal effort. Helpful as a development playground. It's sometimes argued that a development approach focused on documentation is quite time-consuming. I am not going to disagree with that. One should always strive for a balance between building functionality and writing docs. As an example, in the team I'm currently on, we use an agile approach to building stuff and there are blocks of time in each sprint dedicated to completing missing docs. Of course, there are times when working software trumps comprehensive documentation. That's completely fine, as long as the people responsible are aware and have a plan how the project will be maintained in the long run. 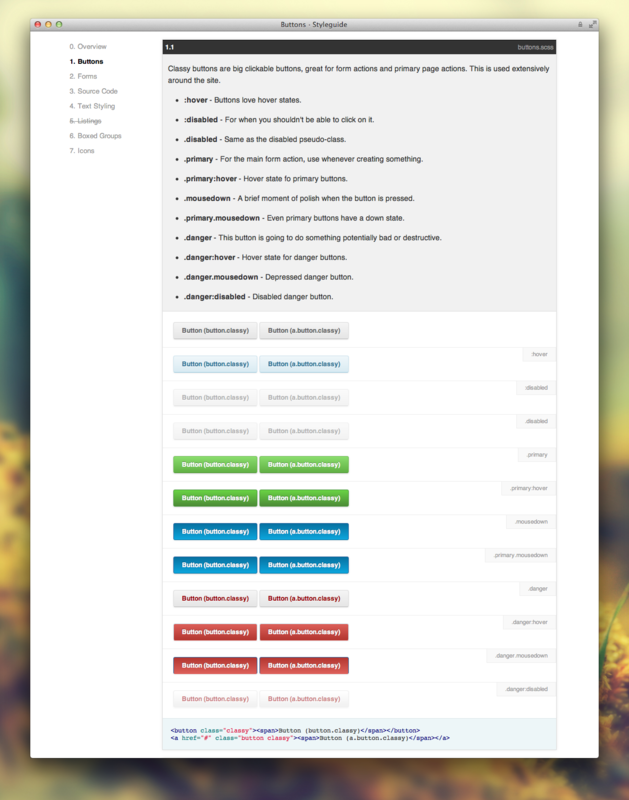 KSS is a documentation specification and style guide format. It attempts to provide a methodology for writing maintainable, documented CSS within a team. Most developers in my network use it due to its popularity, expressiveness, and simplicity. The KSS format is human-readable and machine-parsable. Therefore, it is intended to help automate the creation of a living style guide. // Use this class for the primary call to action button. // Typically you'll want to use either a `<button>` or an `<a>` element. Benjamin Robertson describes in details his experience with kss-node, which is a Node.js implementation of KSS. Additionally, there are a bunch of generators that use the KSS notation to generate style guides from stylesheets. A popular option worth mentioning is the SC5 Style Generator. Moreover, their documenting syntax is extended with options to introduce wrapper markup, ignore parts of the stylesheet from being processed, and other nice-to-have enhancements. 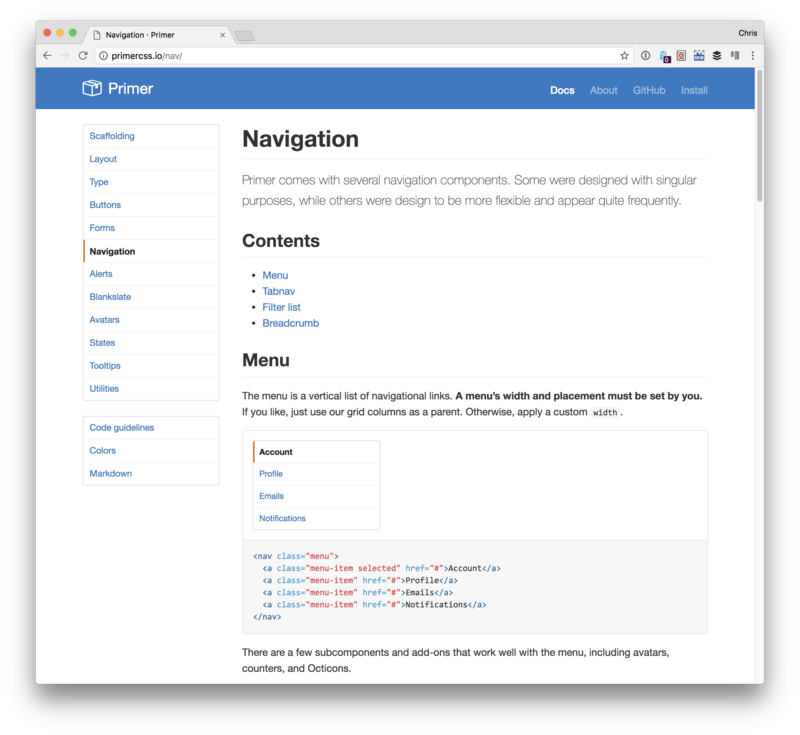 With the designer tool you can edit Sass, Less or PostCSS variables directly via the web interface. There is a live preview of the styles on every device. Who knows, they might be beneficial for some use-cases. Here's an interactive demo of SC5. 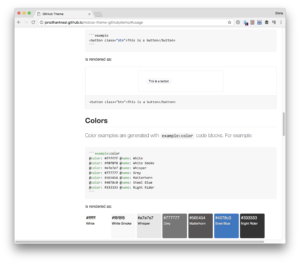 GitHub's style guide (Primer) is KSS generated. Use this class for the primary call to action button. Each documentation object may contain a bunch of properties like title (of the current section), unique name, context, and a few others. Nucleus is a living style guide generator for Atomic Design based components. Nucleus reads the information from DocBlock annotations. Nuclides: not directly useable on their own styles (mixins, settings, variables). Atoms: single-class element or selector rules (buttons, links, headlines, inputs…). Structures: the most complex types, may consist of multiple molecules or other Structures. … and a few more. *  .btn--primary - Use this class for the primary call to action button. There is yet to be a clear winner in terms of a tool or a common syntax definition for programmatically documenting CSS. On the one hand, it seems like KSS leads the group, so I'd say it's worth considering it for a long-term project. My gut feel is that it will last for a long time. On the other hand, different syntax options and tools like Nucleus and MDCSS look promising too. I would encourage you to try them on short-term projects. It's important to note that all tools presented in this article might do the job well and seem scalable enough. So try them out and pick whatever makes the most sense to your team. I'd appreciate it if you would share in comments below if you know or have experience with any of these or other tools worth knowing about! Nucleus is a living style guide generator for Atomic CSS based components. I don’t think Nucleus has much to do with “Atomic CSS“, may be you meant to say “Atomic Design” and link to http://atomicdesign.bradfrost.com/. In any case, for “Atomic CSS“, we have this online tool. Yes, correct! Thanks for pointing that out, I just fixed it. I’ve got KSS on my to-do list. Been using “styleguidejs” for ages which, despite its name, is a CSS styleguide generator. Regardless of what you use these things are incredibly handy, especially when working in a team. Well, these are some great points you mentioned, Chris. I’ve always found documentation of my stylesheets a very daunting task. Looks like a really good starting point. Thanks! This may be an interesting addition to this article. I wonder, is there any tool which isn’t that attached to styleguide generation, which can be integrated into already existing views? To be honest, I was so frustrated that all existing documentation tools are so opinionated and packed with their own generators, that even ended up with concept of Vandoc. I’d be glad to hear your feedback. I agree with Serj above. Existing tools are too opinionated about source directory structure, difficult to integrate into existing projects, and don’t handle complex JS components well. For these reasons, I created Living Style Guides.com. It extracts Markdown comment blocks from any files—CSS, Sass, JS, React, Markdown, etc.—and generates a living style guide that is completely separate from your application. 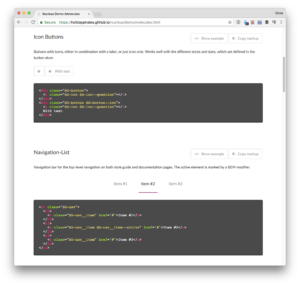 By simply adding Stylemark docs in Boostrap’s Less source, you can quickly create a Bootstrap style guide that has the same information as the official one. This is an inverted button on a dark background. It’s Nucleus still alive thought? It has two PRs (one from us), one a month old. Both fail because Travis doesn’t seem to be set up correctly. There is no feedback whatsoever. Also, commit activity seems very low. Anyway, almost nothing like that exists for CSS, so that’s where this article comes in handy.